Your lighting is arguably the most important part of your household, even ahead of heating and air conditioning. Here in Hartford, lighting systems can run the gamut from ancient apparatus more than a century old to modern equipment featuring the latest technological advancements. No matter what the system, however, you still need a good electrician to handle any repairs that come up. The good news is that most houses here have a breaker box that will automatically cut off power to the system when it overloads. That’s actually a good thing, since it prevents damage to your electrical wiring as well as more direct dangers like a fire. Sometimes, the problem recurs over and over again, which can create some concerns. Circuit breakers can trip due to any number of problems. That can include water damage, frayed wiring, worn fittings, bad connections, faulty transformers or simply an electrical load that is more than the system can handle. If the breaker keeps tripping multiple times, it probably means that there is a problem with the wattage or load, which only gets worse as the wiring itself sustains damage. The first step is to turn off all of the lights or appliances that the breaker controls. You may be able to isolate the precise component through trial and error, but that’s not recommended: you’ll likely only cause more damage while you check. The next step is to call in a professional electrician who can perform an insulation test or otherwise isolate the root of the problem before correcting it. This is not the sort of job that a do-it-yourselfer can perform. You need a trained and qualified professional to handle the issue correctly. Luckily, you have a good option for all kinds of Hartford lighting problems. 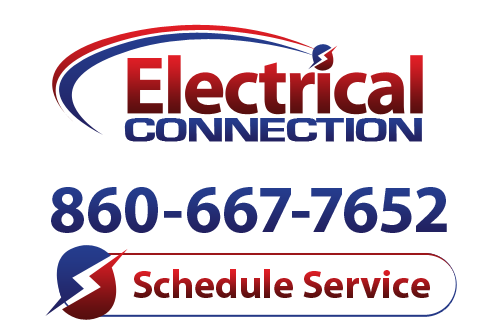 Electrical Connection, Inc. has the expertise to handle any electrical situation and we know what to do if your lighting keeps tripping your circuit breaker. Give us a call today to schedule an appointment, and let us make sure your lighting system is back on track!